Queues forming outside libraries is not such a common phenomenon. 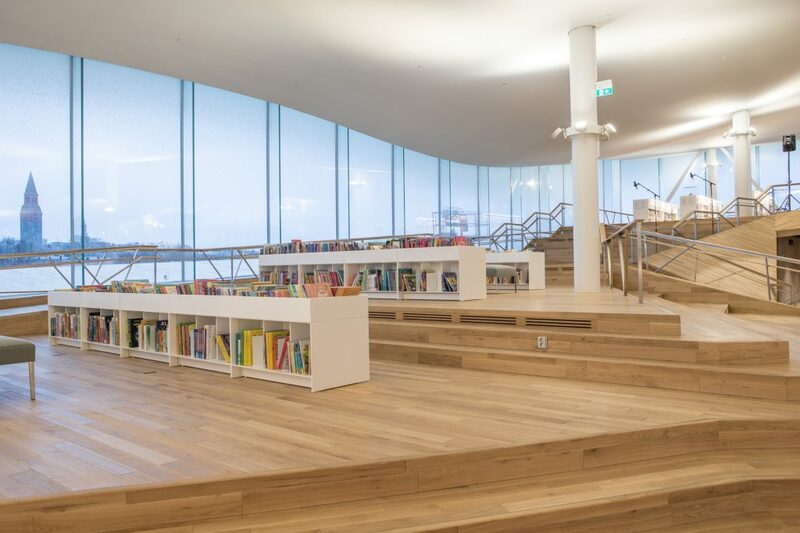 But when Oodi Library opened to the public in the centre of Helsinki in the beginning of December, there was a massive interest towards the building and locals were impatient to see the space. 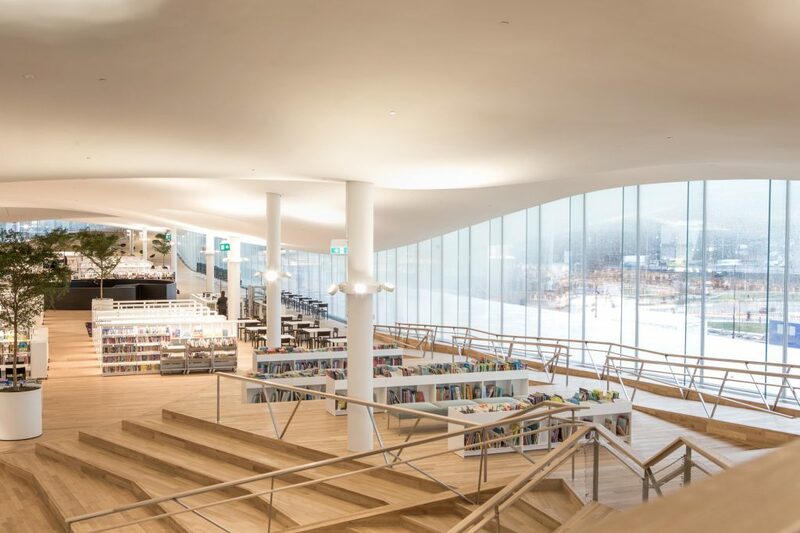 Designed by Helsinki based firm ALA Architects, the library was conceived to reinvent the traditional library concept, and had been in the news for some time. 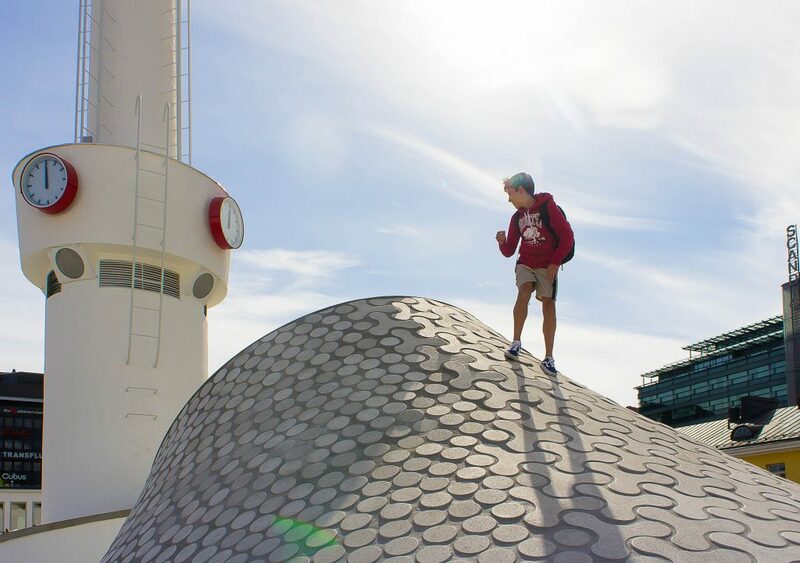 The ship-like structure with an undulating roof sits next to some of the most iconic buildings in Helsinki, forming a dialogue with key cultural and civic institutions, including the Parliament House. From the top floor balcony there is a symbolic visual connection to the space where the state’s policy and decision making takes place. Next to it the Kiasma Museum of contemporary art by Steven Holl has finally got a neighbouring building that articulates similar formal ideas. 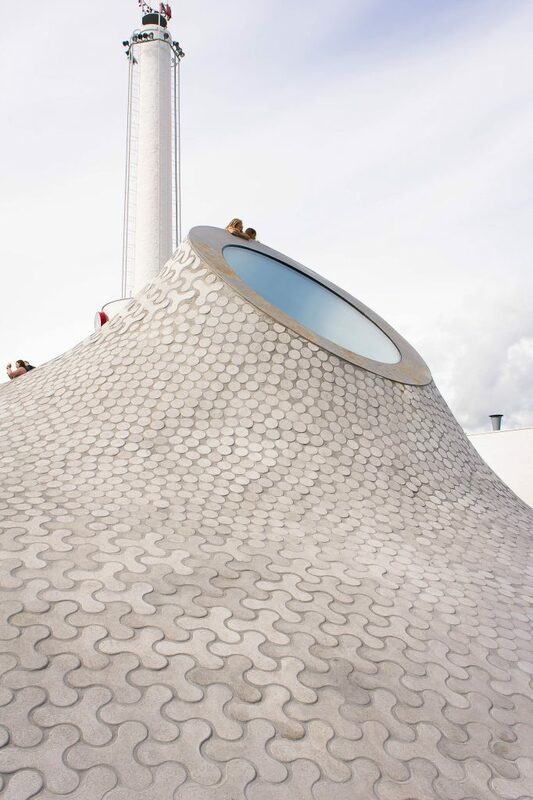 But in contrast to the Kiasma’s curving metallic surfaces, Oodi has been built with glass and wood. ALA is one of the leading young offices in Helsinki with two other partners Antti Nousjoki and Juho Grönholm. 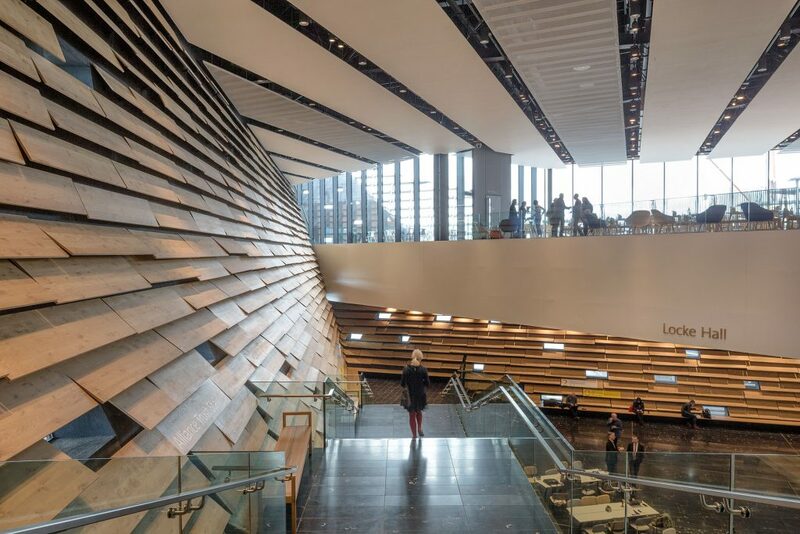 Their first big commission was the Kilden concert hall in Norway which opened in 2012 and shares similar qualities with the library. 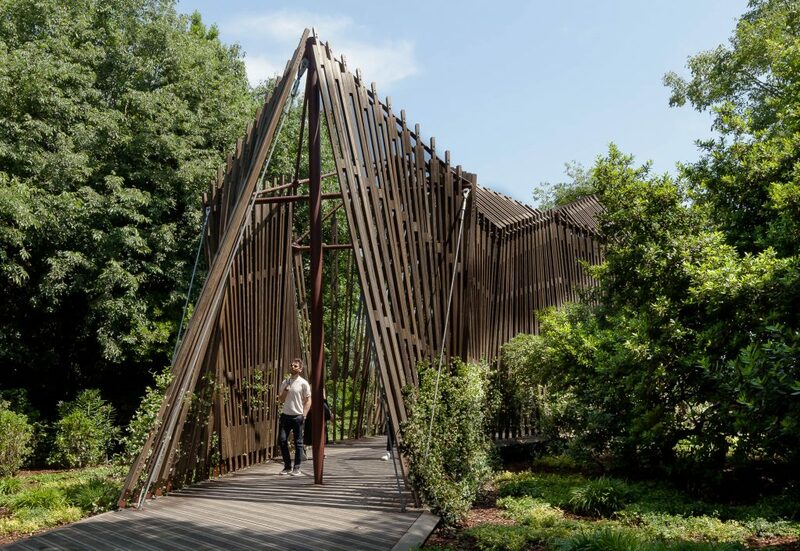 The use of wood and undulating forms could be seen as a nod to Alvar Aalto’s architecture, such as the famous Finnish Pavilion from 1939 in New York. However, with the help of technical innovations ALA have uniquely interpreted their references into a distinctive architectural landmark for this central urban site. “Our generation feels comfortable with using a variety of architectural gestures in creating dramatic effects” Woolston says. 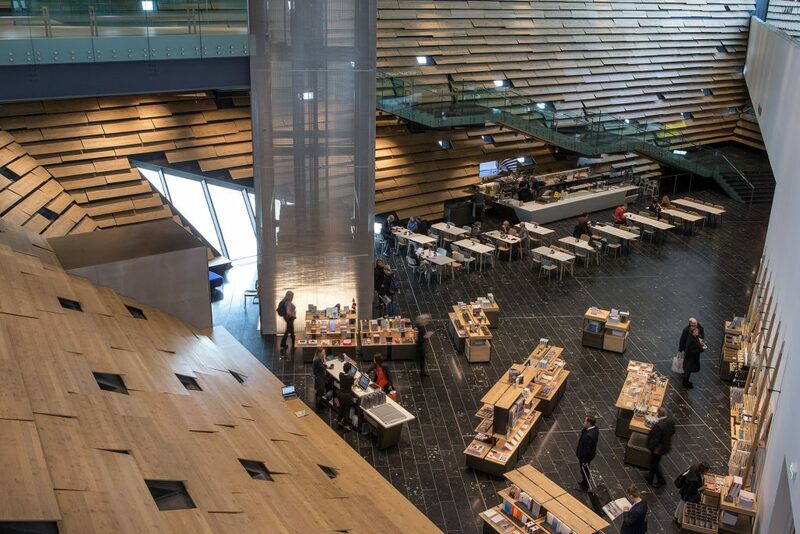 The architects were also able to innovate with the building’s programme, as they were commissioned to develop the concept in response to a present day understanding of the function of a public library. 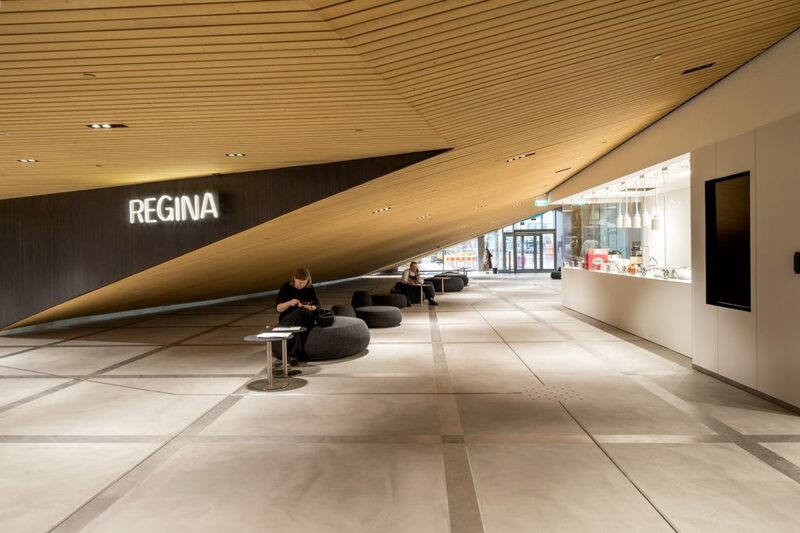 The building was designed to provide a variety of new possibilities for local citizens, not just for picking up books, but to interact with each other and to find all kinds of new learning platforms and creative tools. The central site also adds to the attraction of this imposing building, where it seems to fill a gap of existential connection between buildings and people. While providing a much needed public space for creative opportunities, it also transforms the cityscape by its programmatic innovation. Branded the ‘new collective living room’, it breaks the barriers between inside and outside space. 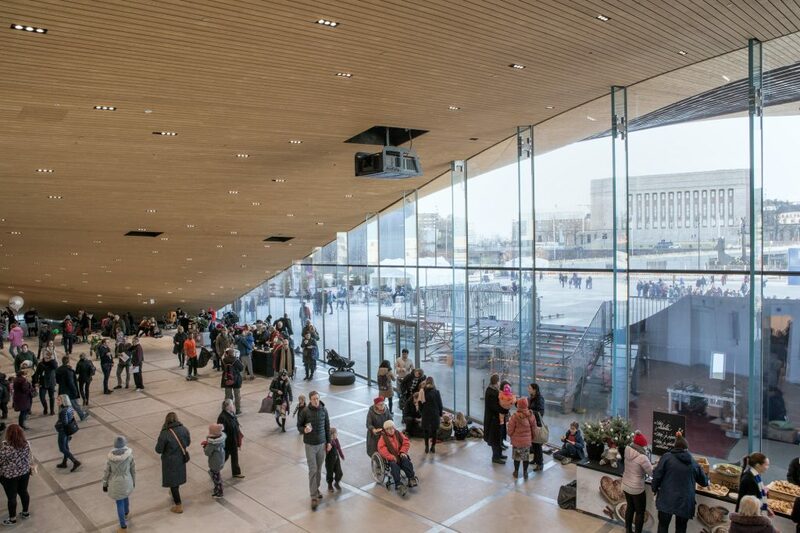 “Helsinki is becoming more multicultural and socially open than ever before. This is actively supported by the city through city planning and by loosening norms to allow a variety of events and organisation to find new public lives,” Woolston explains. 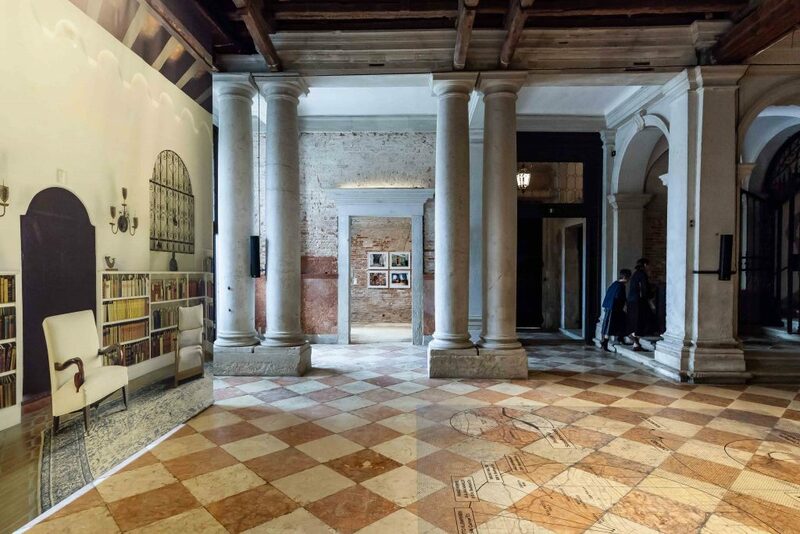 Libraries were the central theme of the Finnish Pavilion at the Venice Architecture Biennale, responding to the idea of ‘freespace’ and displaying the development of the library in the national heritage. 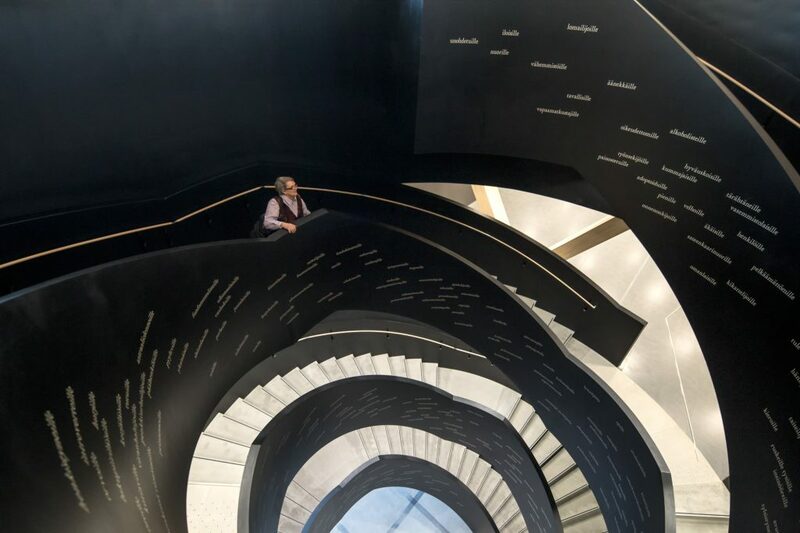 As a typology the library has certainly seen its apogee in Oodi, which now stands for new values and urban transformation, making a powerful visual and social impact. 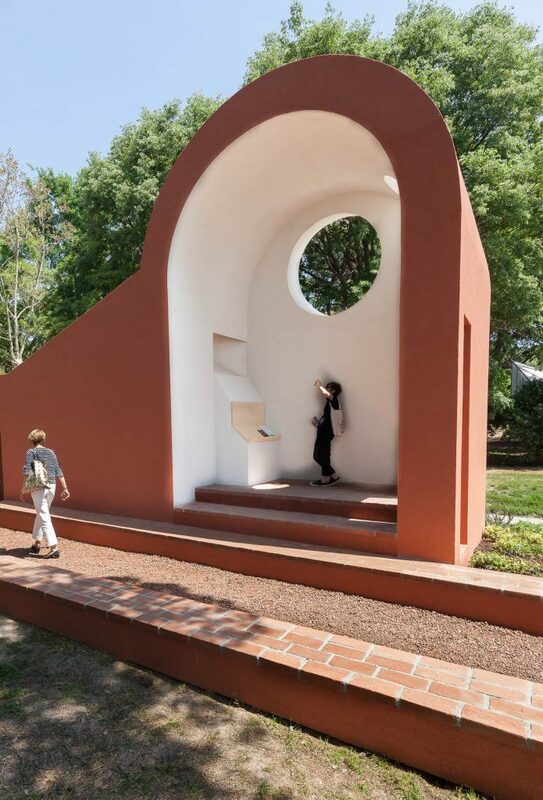 “I would like to see us as a part of the tradition of the strong and expressive, often nature inspired architecture of Reima and Raili Pietilä and the Suomalainen brothers. 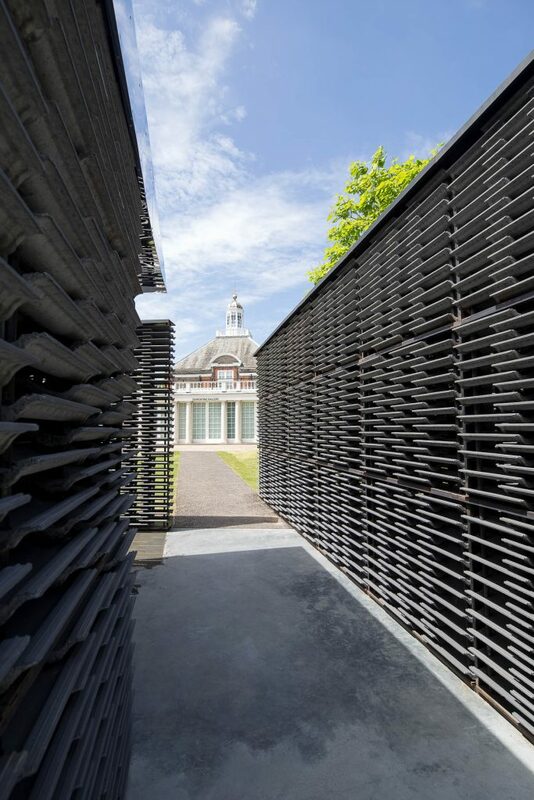 The rational and the irrational exist simultaneously in our architecture,” Woolston says. 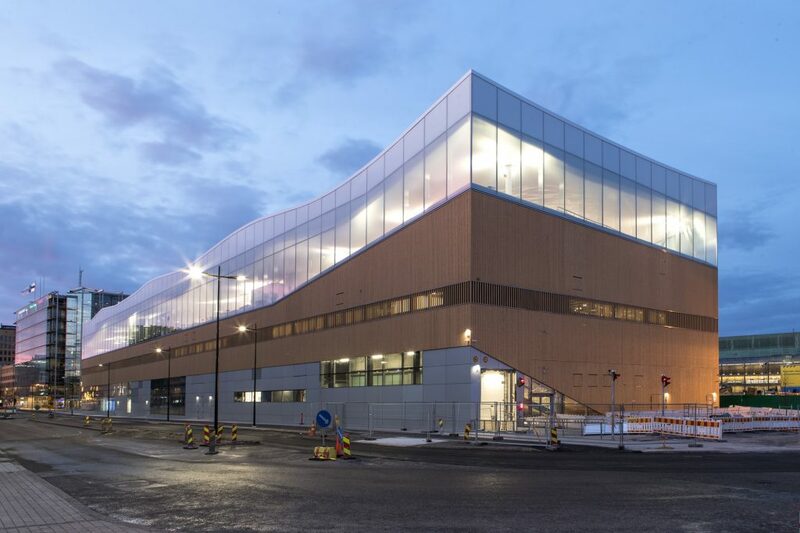 Incidentally, ALA have recently completed an award-winning renovation of the Pietiläs’ iconic Dipoli building in Espoo. Their own legacy, however, seems firmly set in the heart of Helsinki. Since the Guggenheim effect in Bilbao, big museum brands have become recognised as great initiators for urban regeneration. 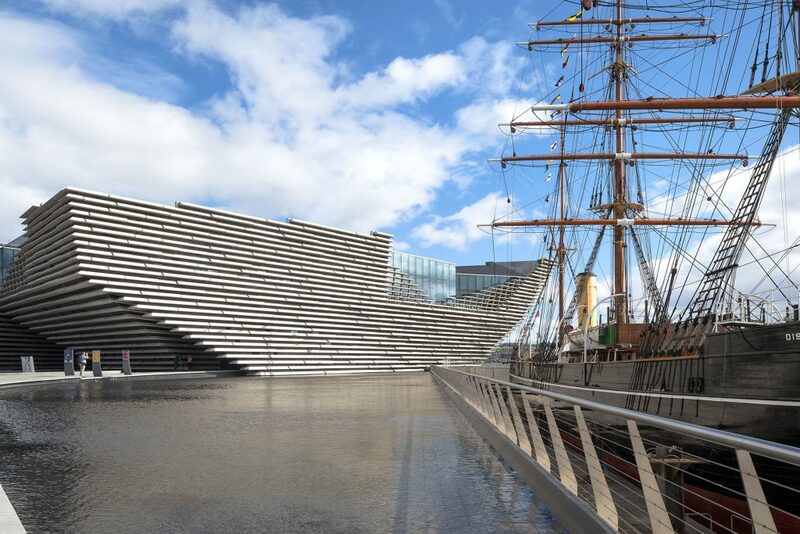 Dundee in Scotland, on the edge of Europe, is the latest to adopt the strategy by opening an outpost of the prestigious Victoria and Albert Museum and hiring Japanese architect Kengo Kuma to deliver an architectural experience that will transform the cityscape. 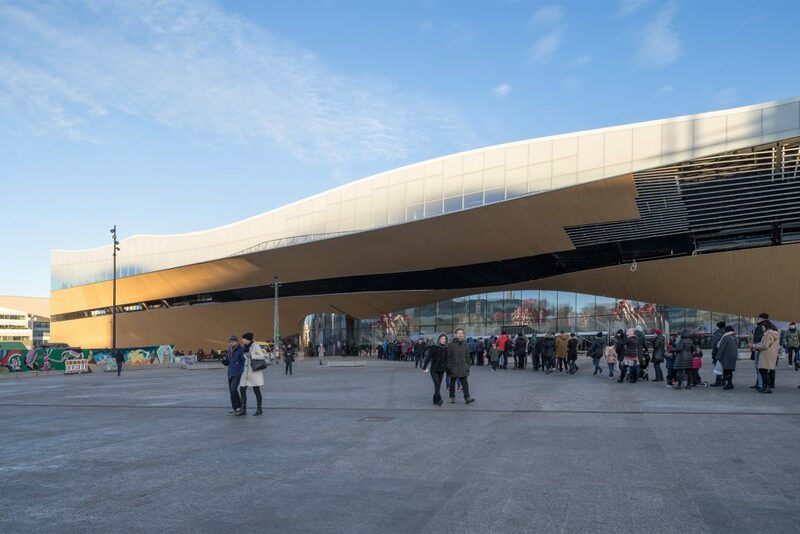 The new museum sits on the waterfront – its angular form has been compared to a futuristic shipwreck. 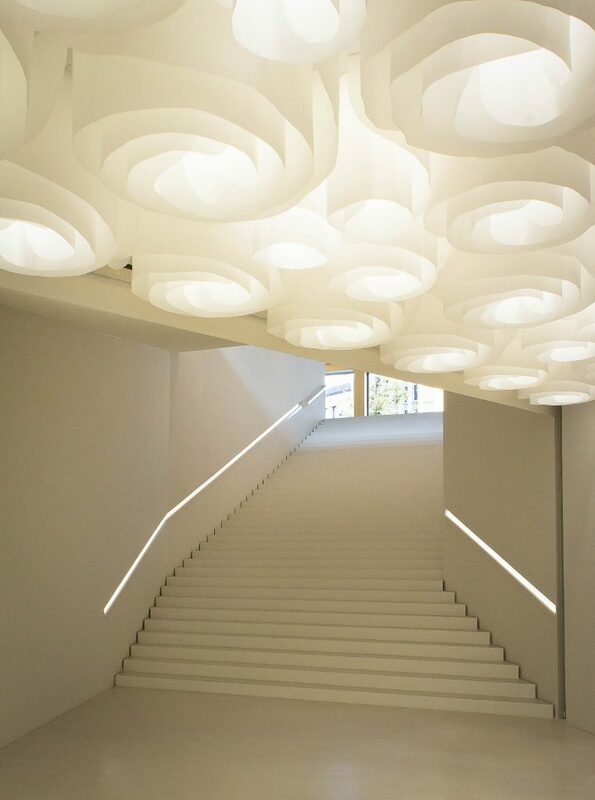 Kuma is known for architectural designs that are inspired by the irregularity of nature. 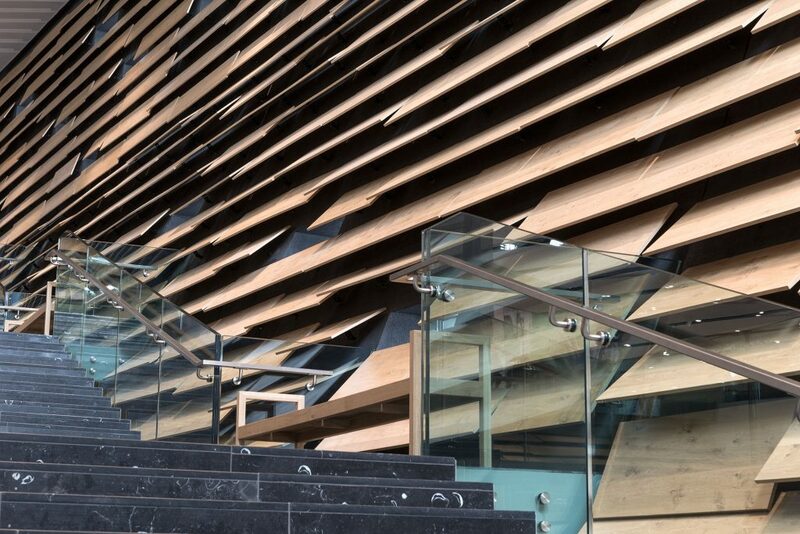 At the new V&A building in Dundee there are no straight lines, which creates an illusion of spatial movement in and around the building. 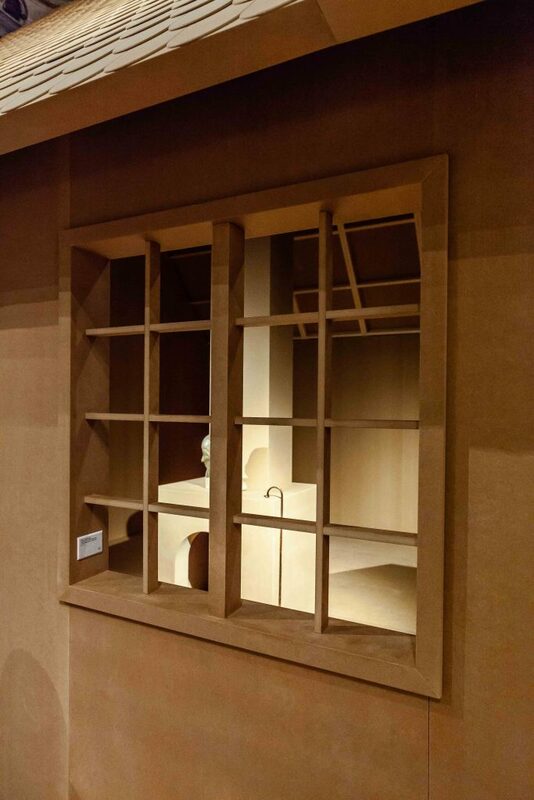 Kuma is also inspired by old traditional building techniques of his native Japan, the use of wood and beautiful local materials. 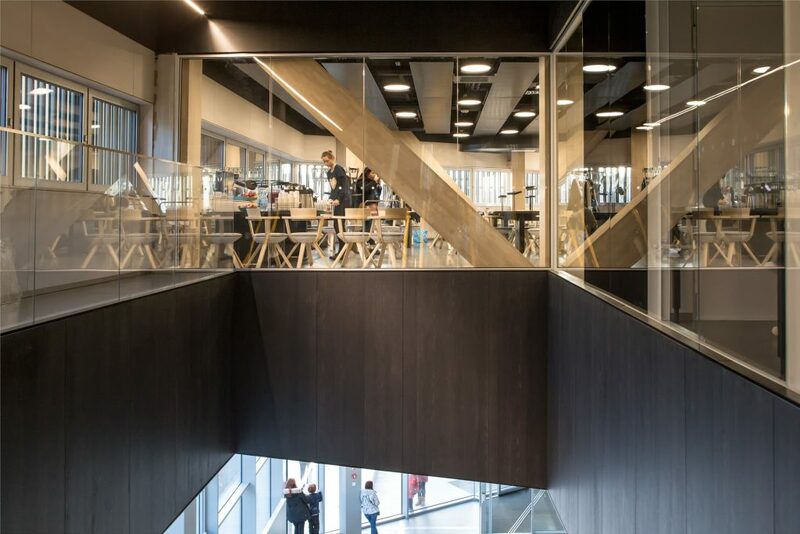 The façade of the new edifice is constructed with prefabricated concrete panels and the interior – with its use of wooden slabs in different sizes in the soaring entrance atrium – echoes the same irregularity in rhythms. The floor is covered with a dark stone, where white marks from fossilised seashells play as reference to the waterfront location. 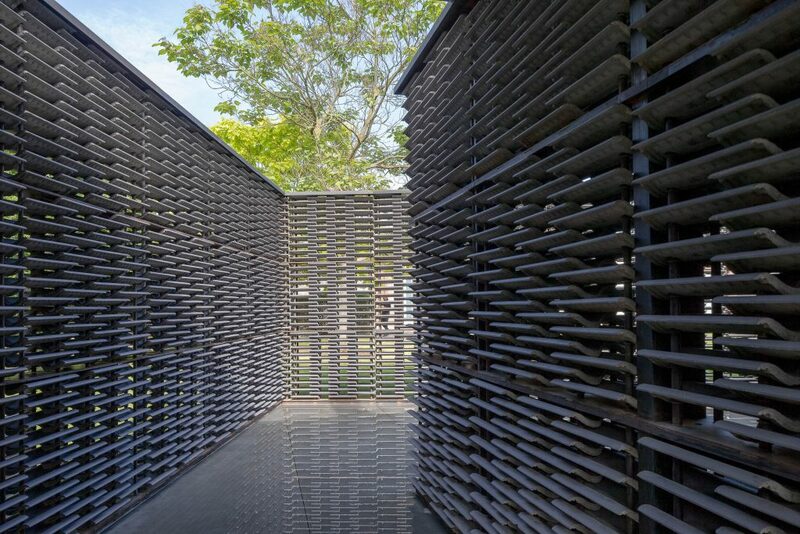 Beautiful materials and the effort of rejecting all structural monotony has come at a cost however. The budget famously doubled halfway through the project, with the final bill coming in at £80 million. The concrete was a functional choice to protect from harsh climatic conditions, but it also fits aesthetically with the urban identity and resonates with the dark stone found in the cityscape extending beyond. 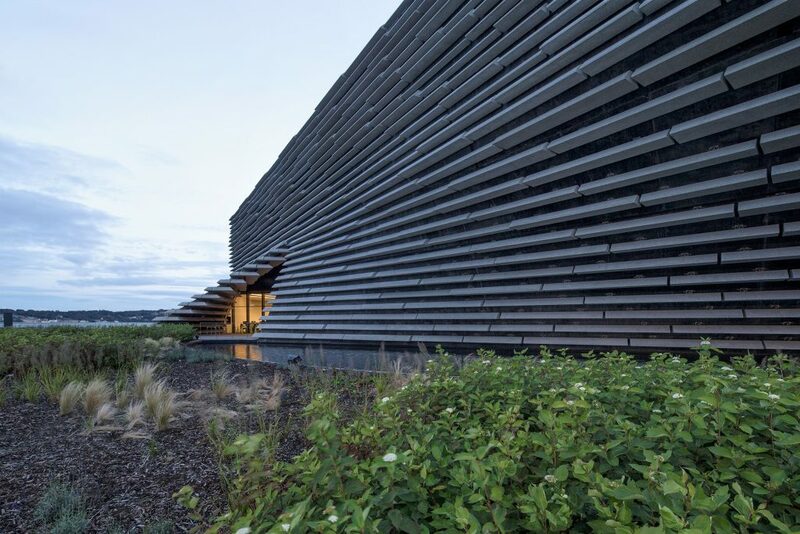 The museum has been praised for the way in which it relates with the setting, despite its spectacular form, but nevertheless some criticism has been raised too. 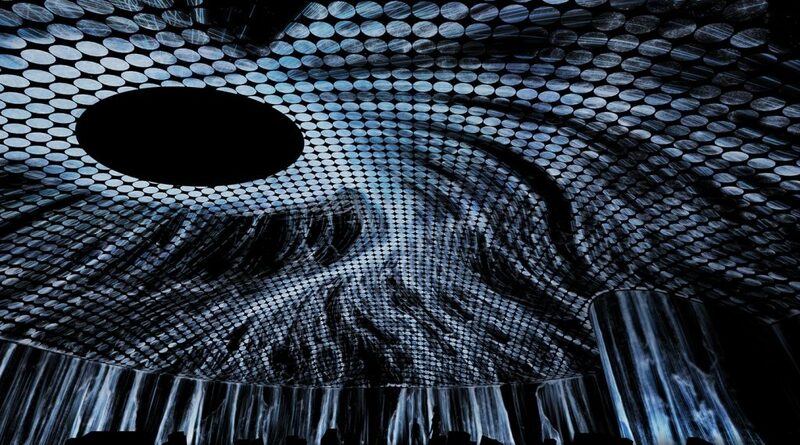 While Gehry’s design for Guggenheim was one of the very first architectural experiments with the help of digital programming, here the play with form relies equally on complex mathematical formulations. Inside the sloping walls provide irregular openings and the atmosphere is warm. 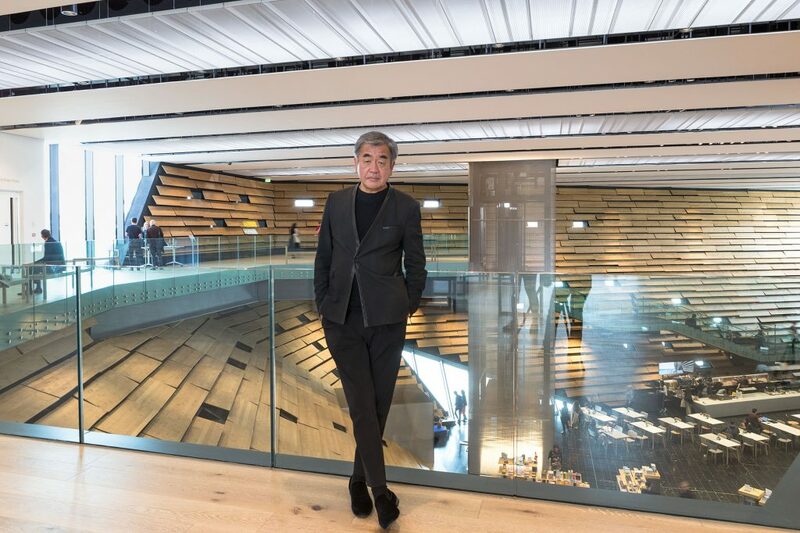 Kuma, who is the chosen architect of Tokyo’s new Olympic Stadium, aims to bring intimacy to the largest of developments. 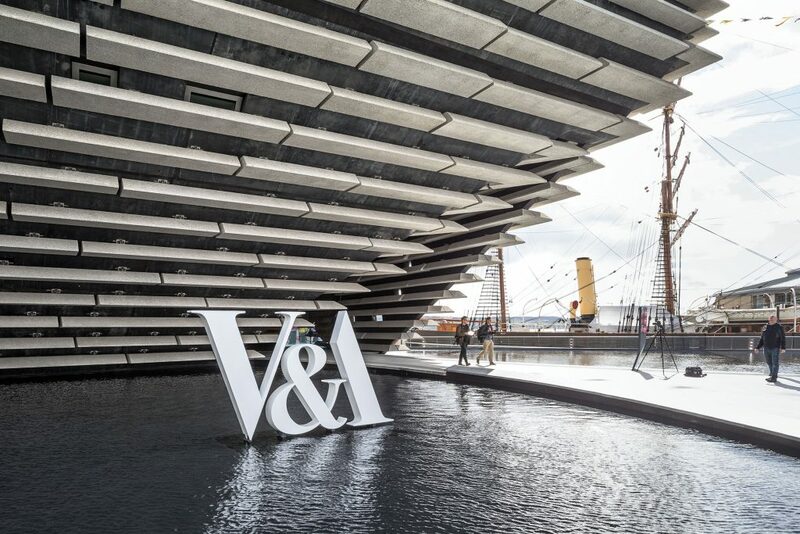 The exhibitions are drawn from the V&A collections, but in the Dundee outpost the focus is on Scotland’s design heritage, including 300 objects made in Scotland. 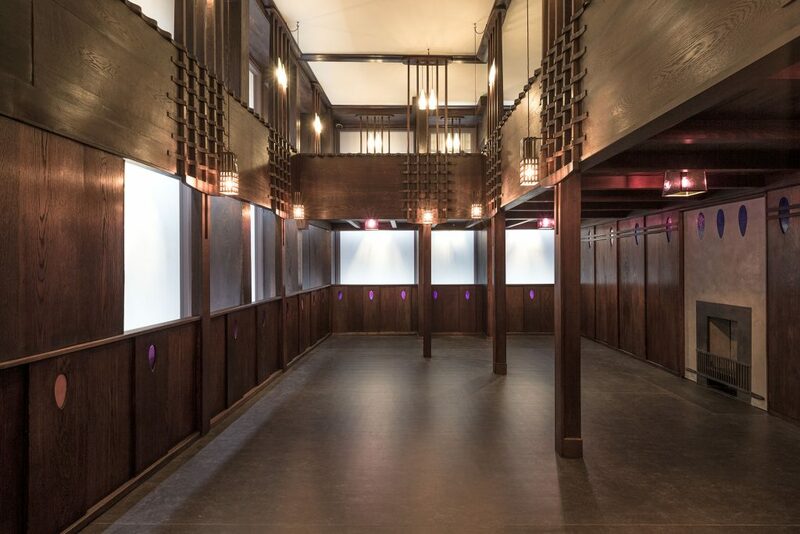 One of the highlights is the reconstruction of the Oak Room designed by Charles Rennie Mackintosh, which was saved and stored after the original building was demolished and is now displayed in the museum. 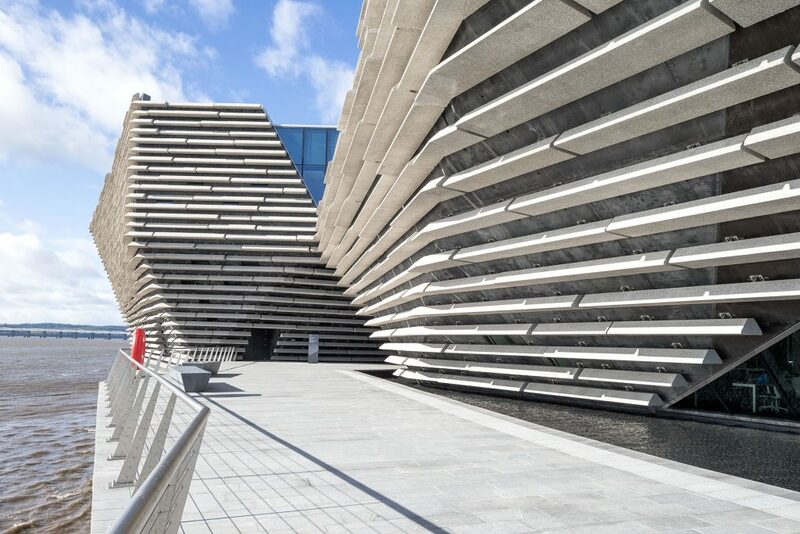 Aiming to restore civic pride and inspire creativity, the museum will no doubt become an enduring magnet for locals and tourists alike. 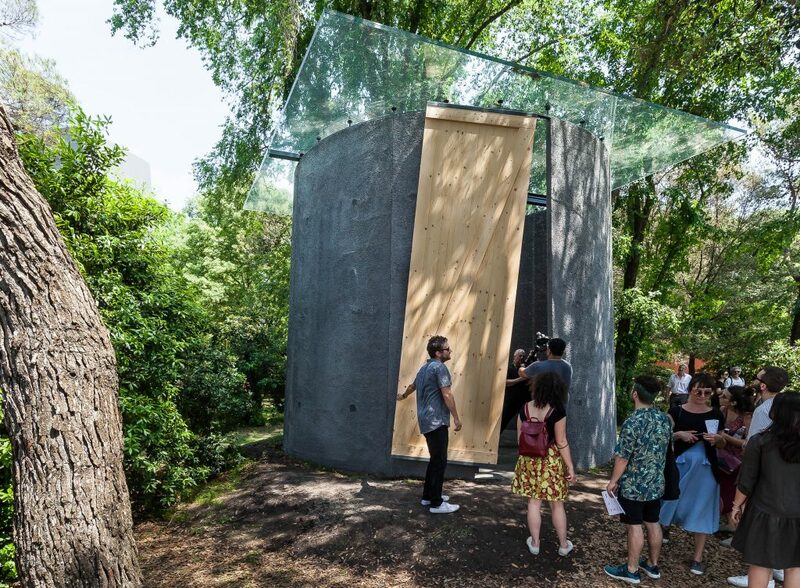 The exhibition Machines à Penser explores the idea of isolation close to nature as an important part in the creative thinking process. 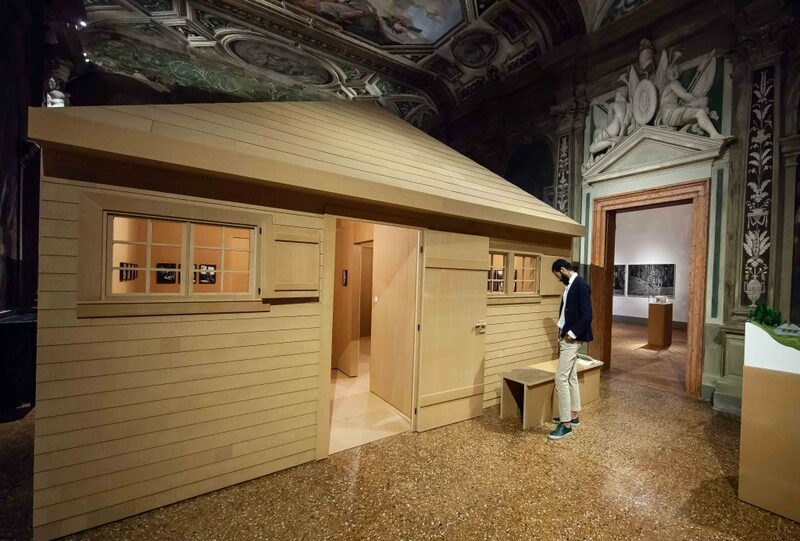 Mapping the links between philosophers’ obsession with huts in the beautifully restored interiors of Fondazione Prada, here the piano nobile galleries. 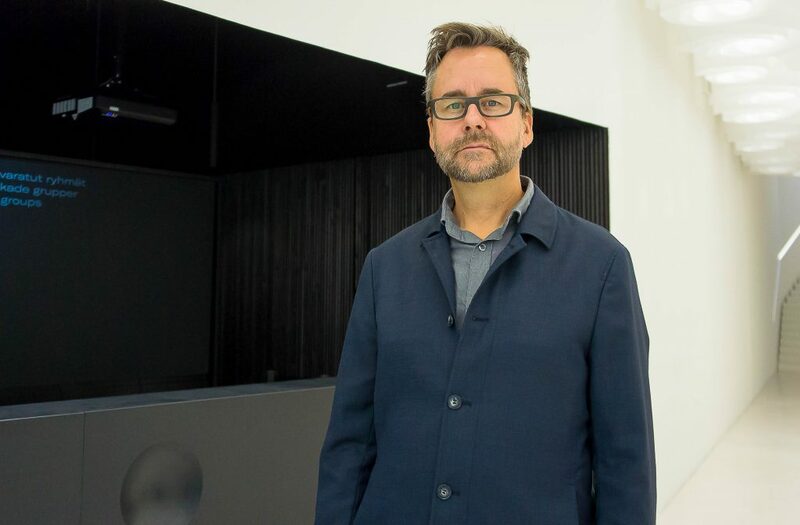 When Dieter Roelstraete was invited to curate the Fondazione Prada exhibition to coincide with the Architecture Biennale in Venice, he knew immediately what he wanted to do. 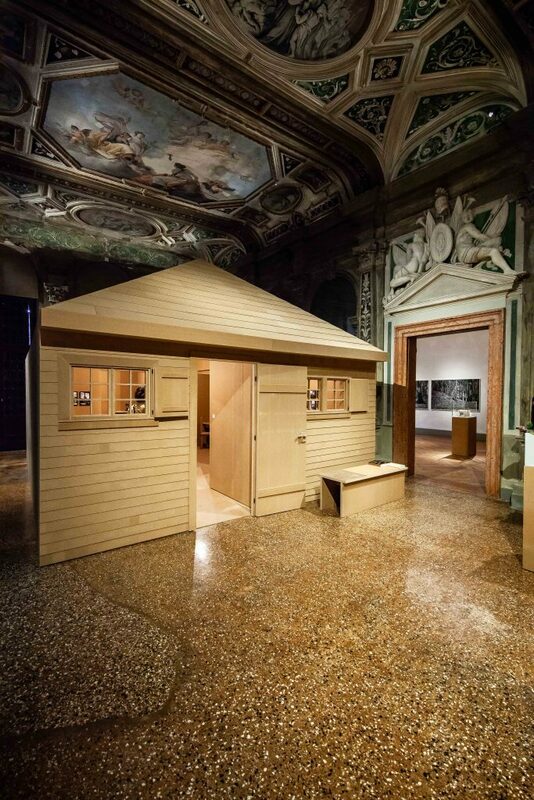 ”I have been thinking about this topic for years: the idea of the huts” he explained, referring to some very specific huts associated to three leading thinkers of the twentieth century: Martin Heidegger, Theodor Adorno and Ludwig Wittgenstein. The idea of philosophers working in isolation, surrounded by wild nature had intrigued Roelstraete, who studied philosophy himself and understood the attraction of being able to focus your thoughts in a profound way. 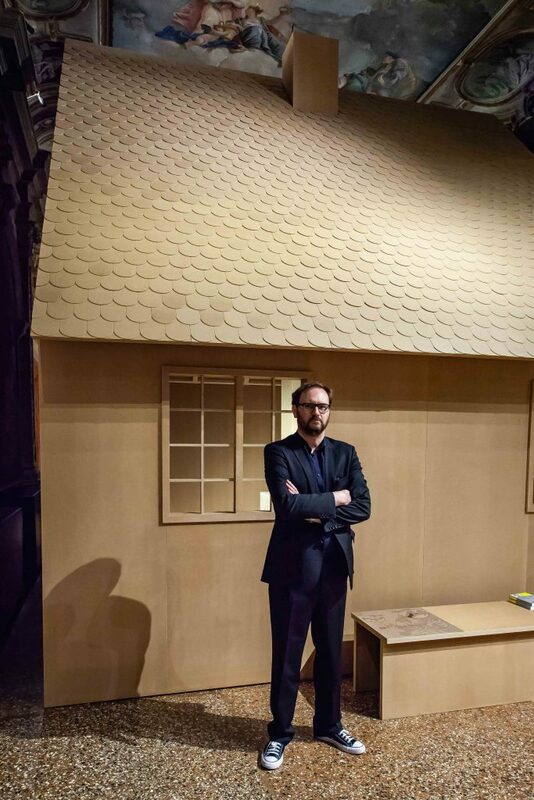 ”The dream of the hut is a very powerful vision of being away from the global 24/7 connected society”. Although this need was very much evident already way before the internet, as Roelstraete has observed through his interest towards huts: ”Many artists, writers and composers felt the need to isolate themselves to be more productive: Strindberg had a hut, Edward Grieg had a hut”. Of the three philosophers Heidegger is probably the most quoted in the theory of architecture. 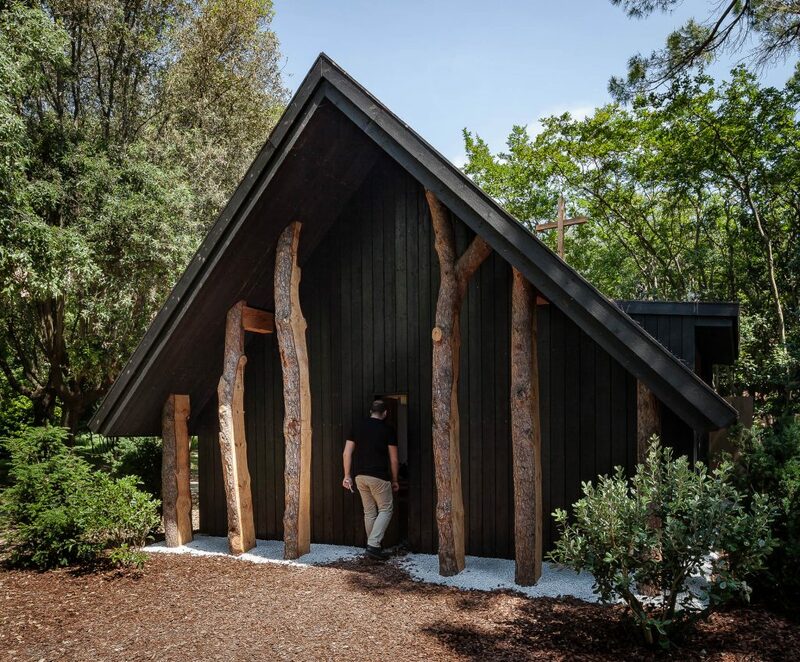 His ideas on phenomenology have been very influential for architects and academics, and his hut in the Black Forest in Germany has become a sort of pilgrimage site. The iconic hut dating from the 1920s has attracted phenomenology enthusiasts and philosophical tourists from all over the world. ”When I went there with my friends we all thought we’d like to live there. Of course it’s a bit a of a joke, because we can’t have it”, Roelstraete says, ”But there is something very seductive about it”. Wittgenstein’s cabin was built on an even more remote location in Norway, where it could only be reached over the water across the Sognefjord. Although the hut has been removed from its original location, the empty site is now a tourist destination. 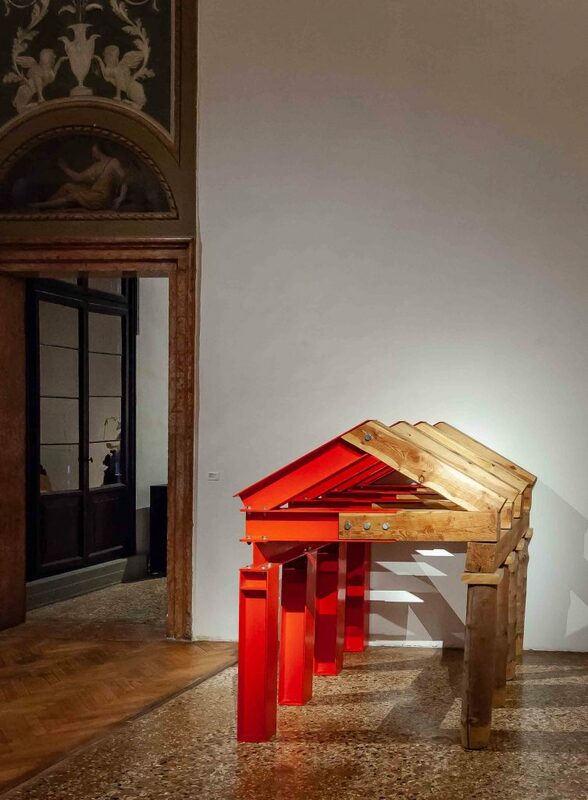 Adorno’s hut is even more mysterious as an appropriated construction by the Scottish poet and sculptor Ian Hamilton Finlay. The lure of rural seclusion has influenced architects as well. ”Many architects build huge structures that define the cityscape, but they would actually like to live on a farm in Switzerland”, Roelstraete observes with a hint of irony. And indeed that was also very much the case with Le Corbusier, who loved staying in Le Cabanon, a small timber cabin on the Côte d’Azur. It wasn’t as isolated as the philosophers’ huts, but anyhow there is a contradiction in the futuristic schemes he envisioned and the simple cabin life he seemed to prefer. 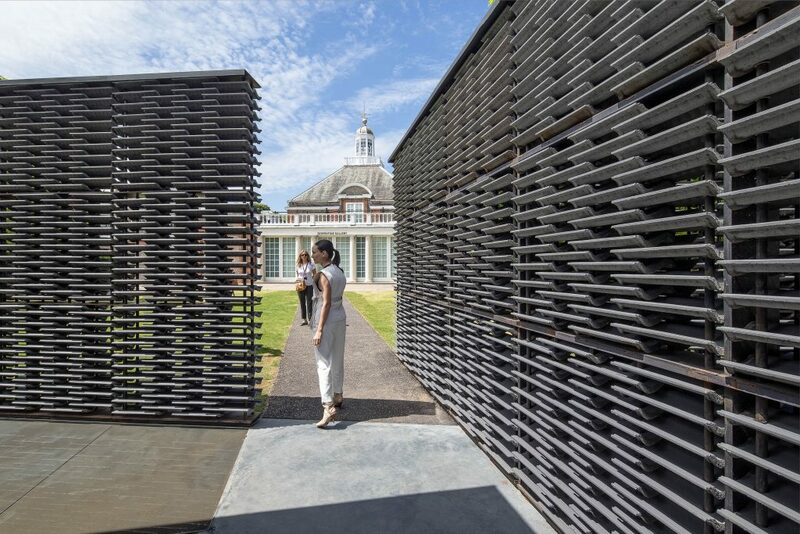 Danica O. Kus has photographed Serpentine Summer Pavilions since 2009. 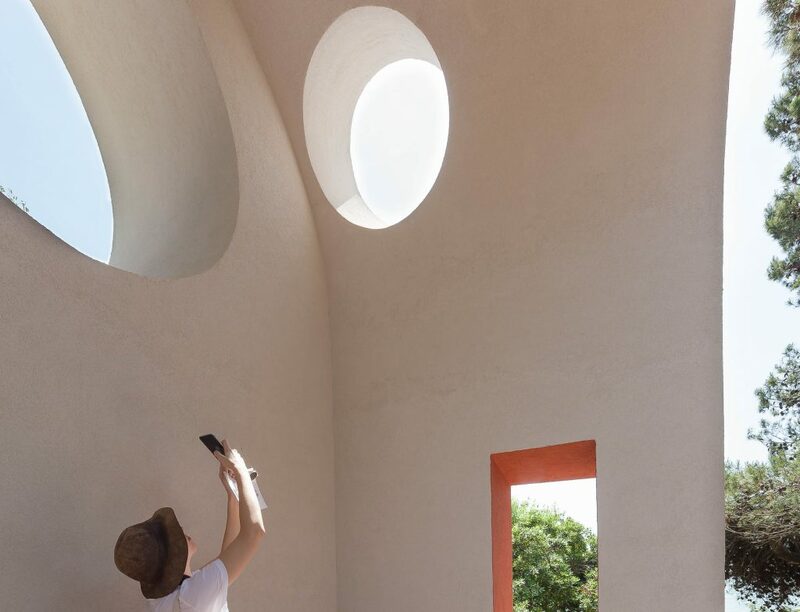 The latest by Mexican architect Frida Escobedo is the tenth that she has documented. 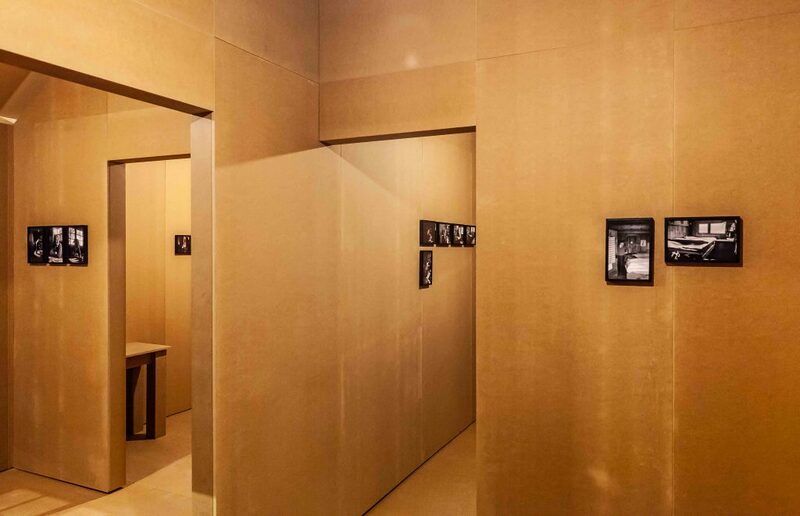 The architectural quality of each temporal Pavilion and their unique characteristics has been an enduring inspiration for her photographic work. 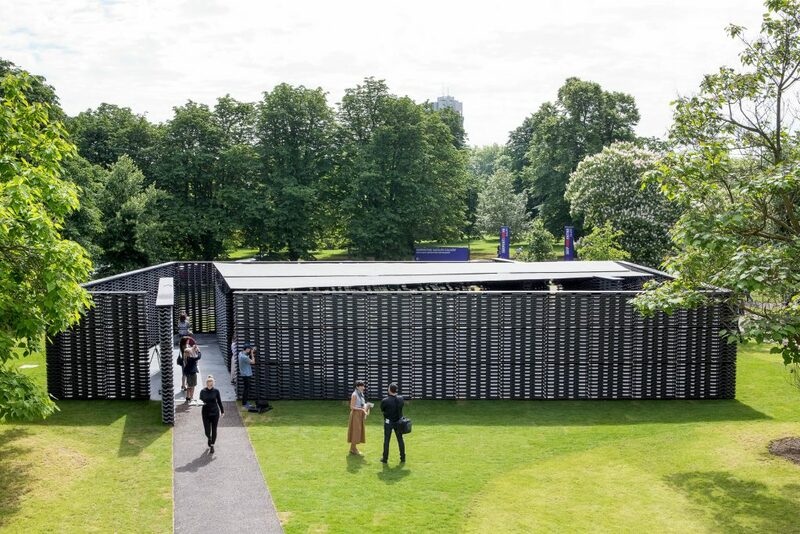 An exhibition showcasing her photographs of the ten Pavilions will be open during the London Festival of Architecture at the Slovenian Embassy in London. 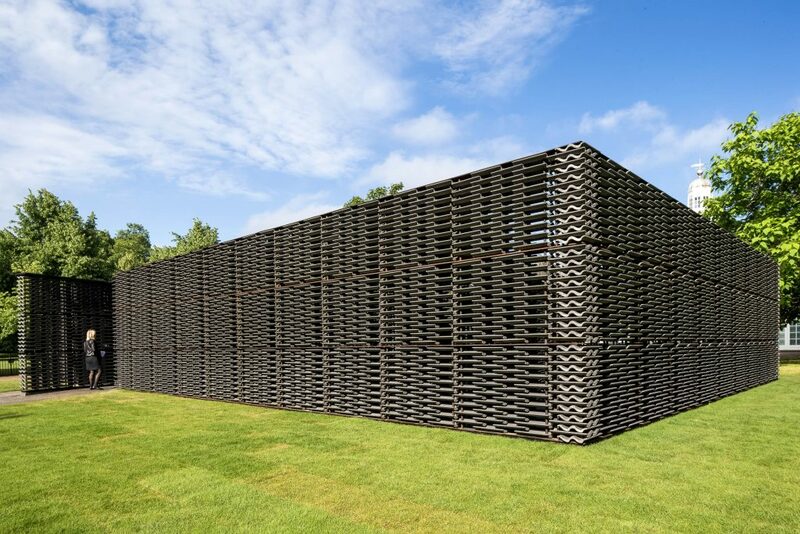 For architectural photographers the opening of the Serpentine Summer Pavilion in June is one of the highlights of the year. I asked Danica about the very special nature of the Serpentine series and its meaning for her. 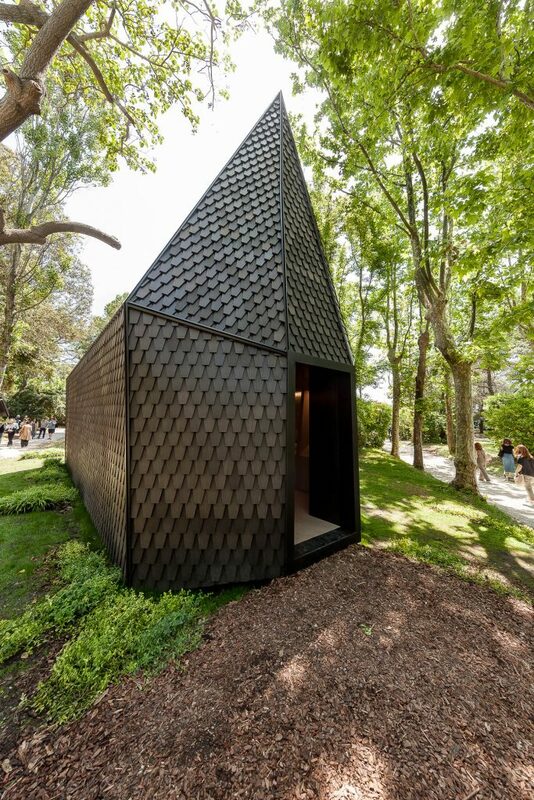 How would you describe the new pavilion by Frida Escobedo in relation to previous ones? The new pavilion seems quite modest at the first sight. But when you enter the space and you feel the atmosphere everything changes…the reflecting light from the roof, the play of light and shadows, the breeze which comes through the rough tiles, the reflection of the trees and tiles in the pool…it is very poetic pavilion and delightful to photograph. 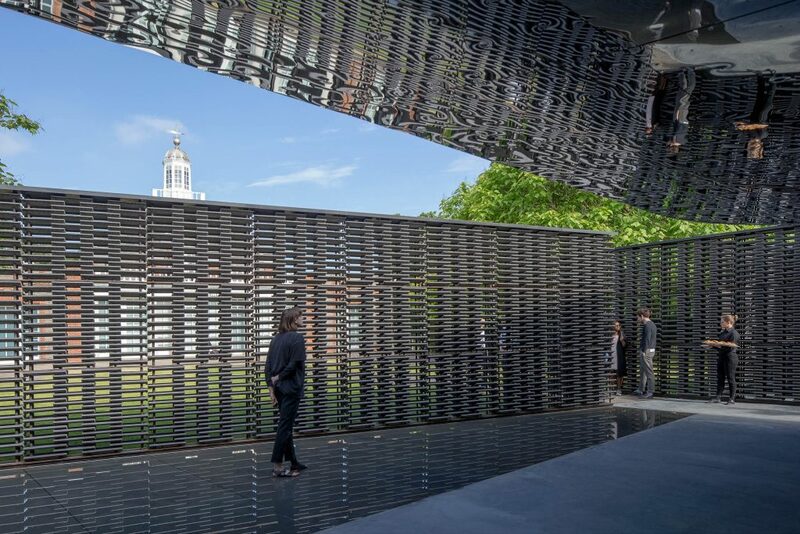 I like the idea that this pavilion is made of inexpensive materials and beautifully designed to each detail. Also it combines a Mexican tradition of making breeze walls and English mass-produced tiles. What are the elements you observe first in buildings? 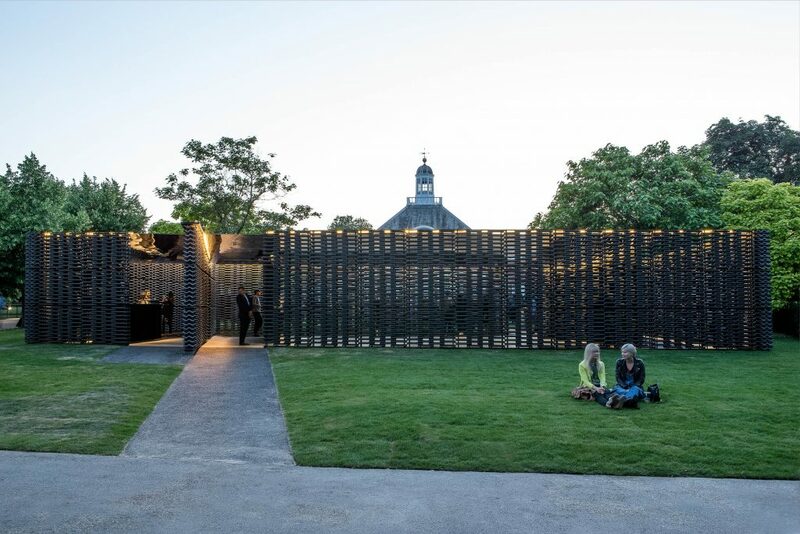 Can you describe the first summer pavilion that you shot and how did it go? Has there been any pavilion that was more difficult to photograph and why? Whose work has been an inspiration for you in your career as photographer?